Manufacturing | Active Clothing Co. Ltd.
Our annual turnover is more than 1.2 MILLION INR. Our manufacturing facility is spread over a wide area of 5 acres with a build area of approximately 17000 sq ft and production area of 25000 sq ft.
Our facilities have one of the best technologies from Germany and Japan alongwith a combined workforce of more than 1000 workers and team of different grades of manage talents . 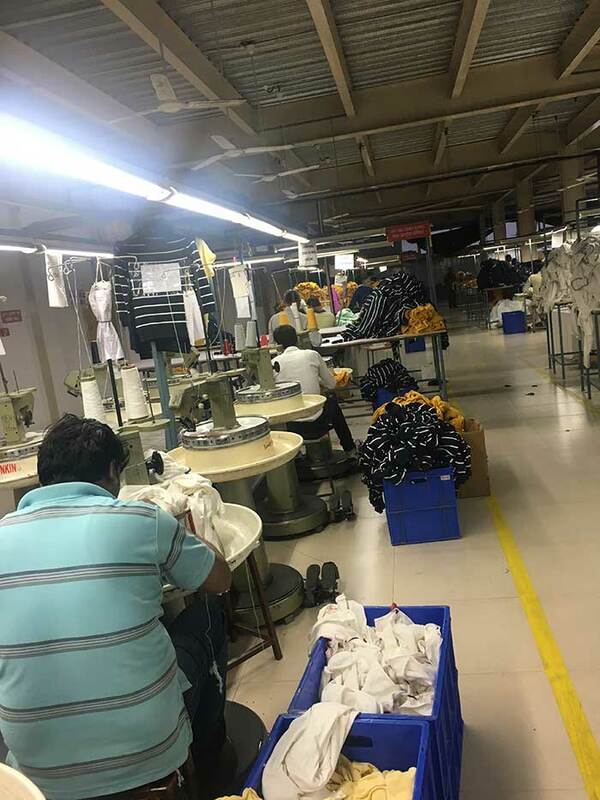 To win with high quality as our product guide line, to chase perfection as our goal, to be the successful leader of knit wear and outerwear industry, manufacturer of garments and world -wide exporter, we have a strong business management team and excellent experienced production team. Our complete industrial chain which combines with computerised technolgies , material, sewing, printing,embroidery,washing has provided clients the full technology support, including product developing, interior test etc. To ensure the high quality of products and high efficiency, we keep purchasing substantial source into technology -science, purchasing the developed machines and employing people to train etc. Based on continuous improvement on product quality and customer services, ACTIVE has earned the support and trust from customers and buyers, Including many world renowned brands from all major markets. Our facilities are equipped with best of health and safety equipments which ensure the well being and safety of all our employees.